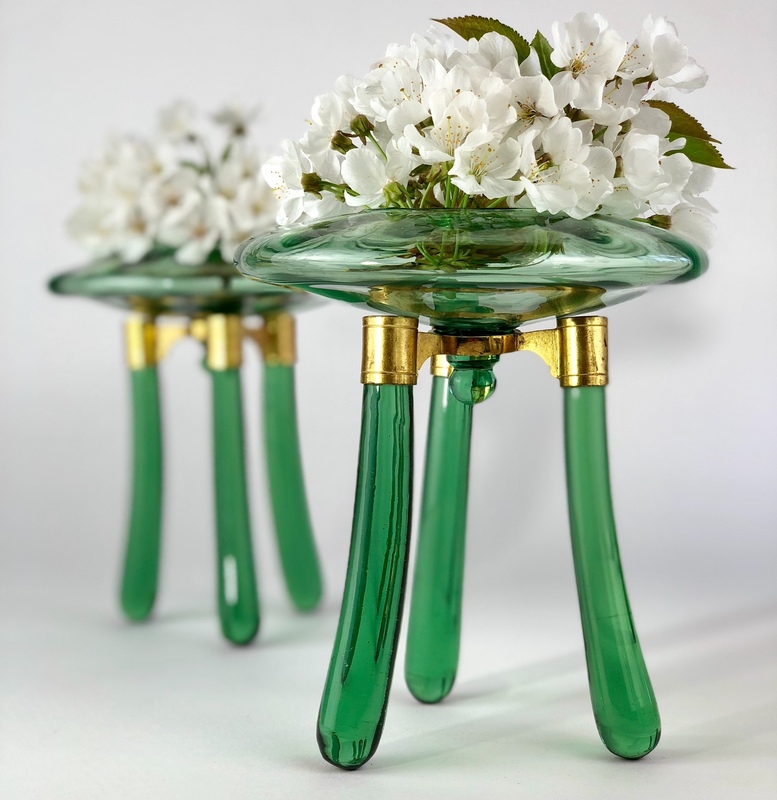 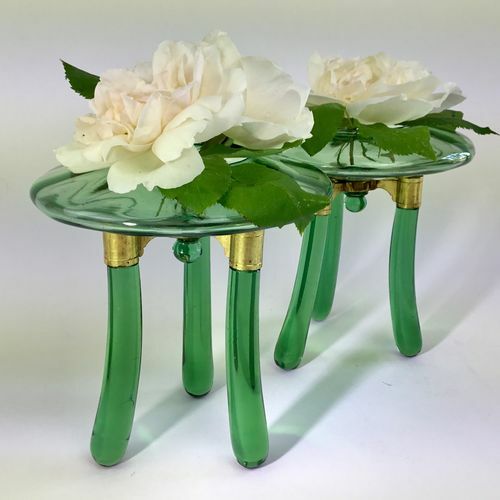 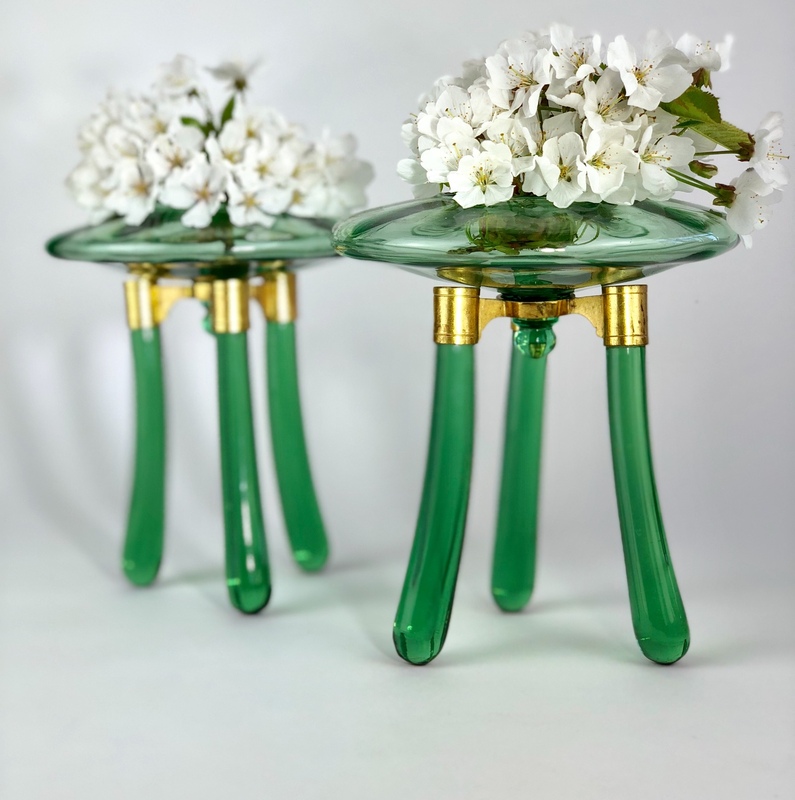 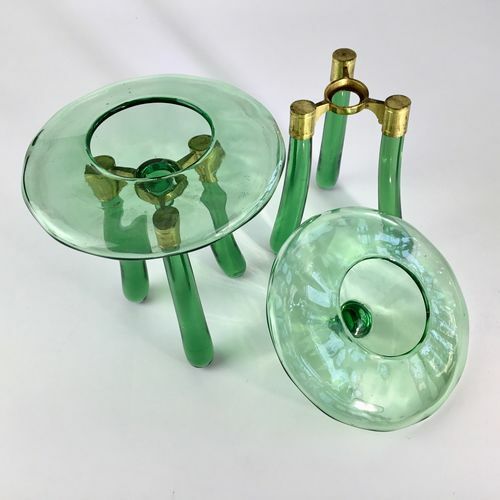 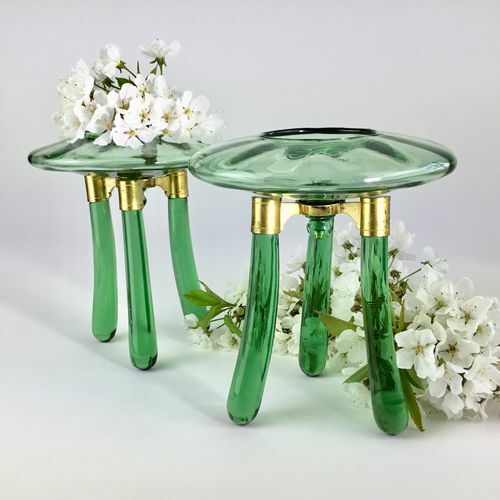 A striking pair of Austro-Hungarian Art Nouveau green optic glass and gilt flower centrepiece epergnes, Circa 1890s, possibly by Moser but unsigned. 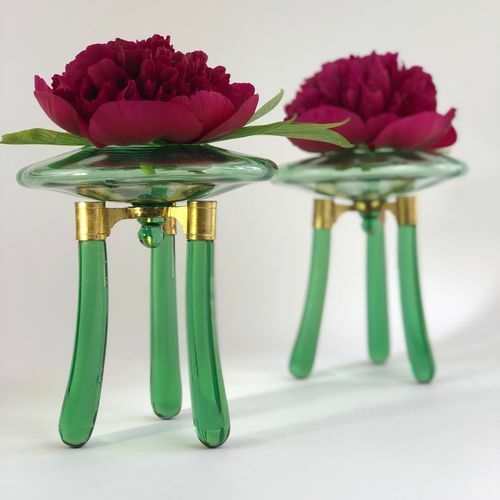 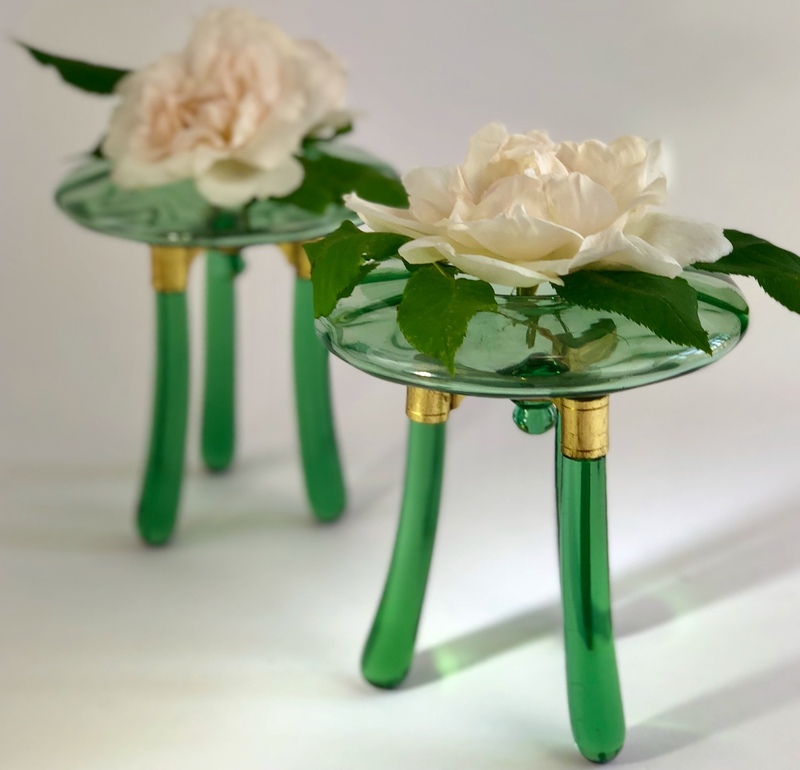 Each flattened hand blown optic glass flower holder appears to 'float' but is actually nestleing on top of a tripod stand of glass and gilt. 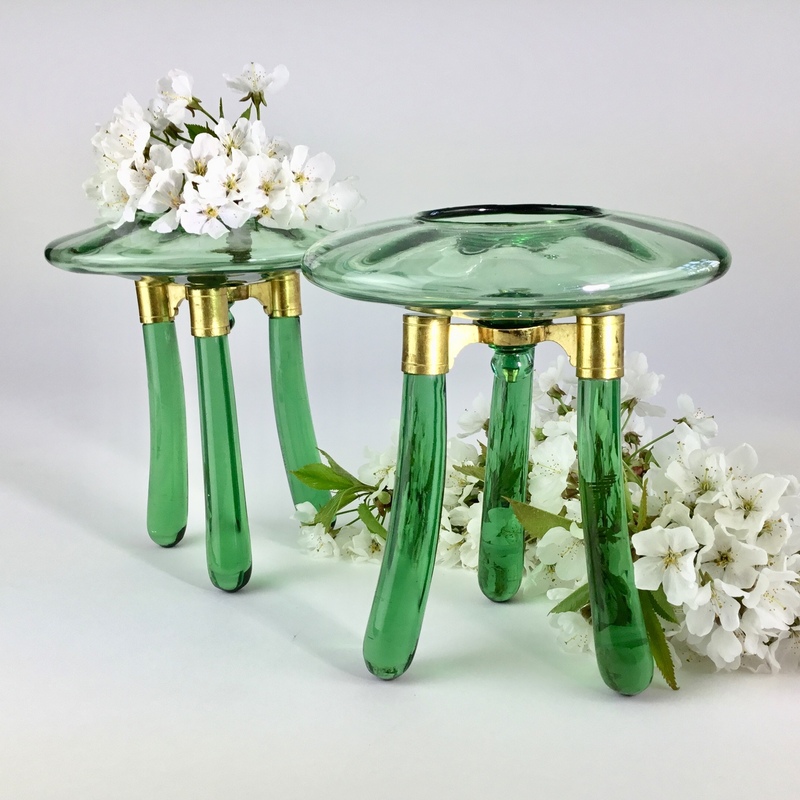 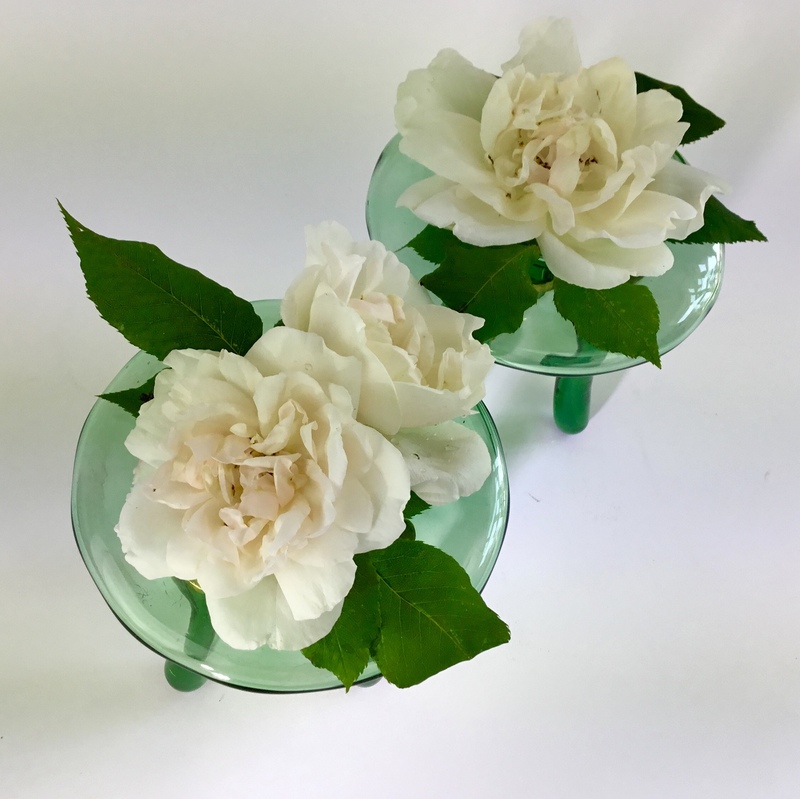 Highly unusual, and clearly of fine quality, the pair makes a beautiful table display and would also look pretty on a mantelpiece or sidetable.